The story is more of an espionage piece in outer space, with a basically-unchallenged governing group and those who want that to change. There's mercenaries, there are government representatives, there's seemingly sentient transport units, and all of them have their own basic machinations. The issue with broader "space operas," or anything with varying points of view, is that some storylines end up being more enjoyable than others. While the start and finish of this book were both very compelling, most of the middle I had a lot of trouble engaging with, whether it be due to my own personal feelings on the story or whether it being just that some characters felt better formed than others. Bruno excels at making ADIM, the transport android, a very enjoyable character, while the more rogueish types ended up feeling like background characters when they were the main thrust of the story. It really took me out of things a bit and made it a little more difficult to fully immerse. Overall, though? It's not a bad book by any means. 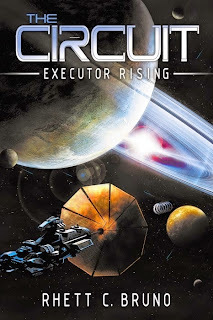 In a world where you have great space operas from Peter Hamilton, and newer pieces from John C. Wright and John Love, the genre has some mountainous competition. At the end of the day, I wanted the book to be as great as its start and finish was, and I didn't get there. Future books in this universe may succeed in that regard, and I'll definitely check them out, but this one might frustrate you from time to time. 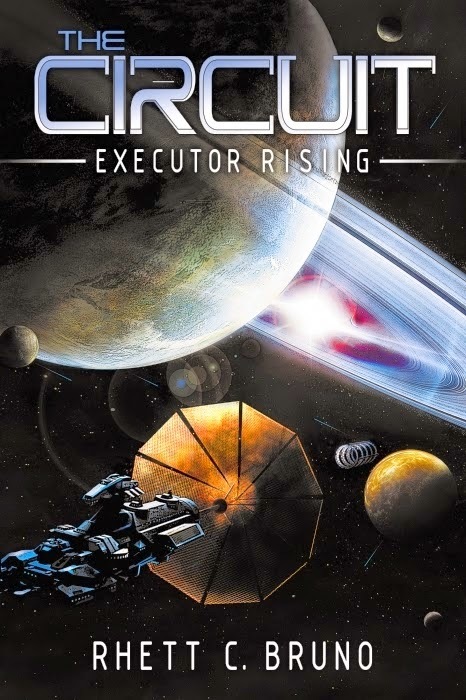 As a debut, The Circuit: Executor Rising is highly accomplished and injects enough vibrant energy into a tired genre to entertain the reader from start to finish. It's a thrilling, cinematic, action-packed adventure buzzing with tension and while violent in parts it expertly balances that brutality with sentiment in just the right places, while leaving space for a social commentary that sadly resonates with global events of late.